The French-led Neuron unmanned combat air vehicle (UCAV) program will produce Europe’s first combat-aircraft-size stealth platform. Multinational unmanned aircraft effort seeks to showcase advanced technologies, lay foundation for future systems. A French-led industrial consortium is developing Europe’s first combat-size stealth aircraft. The program will produce an unmanned aerial vehicle to serve as a testbed to validate a variety of materials, computer and avionics capabilities. Another important goal is to provide European aerospace engineers with the skills and understanding to apply advanced technologies in future airborne military platforms. Modern combat aircraft require considerable time and resources to design and produce. New technologies that minimize radar and infrared signatures also add to a platform’s development time and cost. By pooling resources, European governments hope to limit their individual expenses while benefiting from a collective aerospace research effort. 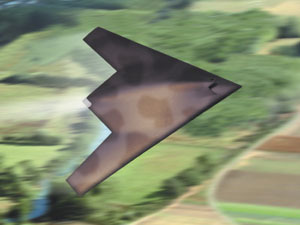 Launched by the French government in 2003, the goal of the Neuron program, sometimes spelled nEUROn, is to develop an unmanned combat air vehicle (UCAV) demonstrator that features the combined skills of the European aerospace industry. One objective is to nurture strategic technologies such as stealth and to validate their application through flight tests. According to Yves Robins, vice president for international relations at Dassault Aviation, Paris, the French government will provide half of the program’s 400 million euro ($480 million) budget while the remaining funds will be supplied by the other participating member nations. The effort is administered through the French armament procurement agency, known as the DGA. “It’s a very different cooperation system from previous projects’. There is just one link between the executive agency and the prime contractor. It’s up to the executive agency to coordinate with the government agencies of the participating countries, and it’s up to the prime contractor to coordinate the work with the other industries,” Robins explains. The contract and memorandums of understanding establishing the Neuron project’s industrial partnership and designating Dassault Aviation as the prime contractor were signed this year. Scheduled for an initial test flight in 2010, the UCAV will perform experimental air-to-ground missions in a network-centric warfare environment, demonstrate stealth technologies and deploy weapons from an internal bay. Robins notes that the program seeks to develop and showcase the fruits of the European aerospace industry’s research efforts. “There is no operational need for Neuron. It’s just a technology demonstrator. It’s never going to be operational; it’s never going to be produced in series. There will be just one demonstrator,” he maintains. Nor does the program intend to develop new sensors, weapons or power plants. However, it will focus on designing a modular avionics system built around commercially available onboard computers running real-time, mission-critical software. Besides being the first combat-aircraft-size stealth platform designed in Europe, Neuron also will test a variety of systems such as autonomous navigation and software capabilities. Another important part of the demonstrator is the ability to load and launch weapons from an internal bay. According to Dassault officials, European combat aircraft currently use external hard points to carry bombs and missiles. An internal bay also can house systems such as reconnaissance packages. In addition to Dassault, the Neuron team comprises Saab, Sweden; Hellenic Aerospace Industry (HAI), the European Aeronautics Defence and Space (EADS) Company of Spain; RUAG Aerospace, Switzerland; and Alenia Aeronautica, Italy. Saab will oversee the overall design of the fuselage, avionics, fuel system and part of the flight testing. HAI is responsible for the UCAV’s rear fuselage, exhaust pipe and test rig. EADS will provide expertise in wing design, groundstations and datalink integration. Wind tunnel testing and the weapon interface will be done by RUAG. Alenia will design the weapons bay, the electrical power system and the airborne data system and will contribute to part of the flight tests. Dassault, the design authority, will be responsible for the general design and architecture of the system, the flight control system, final assembly, ground tests and flight tests. The program has three goals. The first is to maintain and develop the skills of the participating European aerospace companies’ design offices. Robins explains that the new generation of aircraft coming into service, such as Rafale, Eurofighter and the Joint Strike Fighter, will be active for at least 30 years before they are replaced. Because of this longevity, there will be no opportunity for European industry to start a new program before 2030. “You need to maintain the know-how and the skill of your design offices by giving them a program on which they can develop what they already have,” Robins says. The second goal is to investigate and validate the technologies that will be needed by 2015 to design next-generation combat aircraft. Robins notes that it does not matter if it is a manned or unmanned platform because many of the technologies apply to both types of aircraft. The final aim is to validate an innovative cooperation process by establishing a European industry team responsible for developing next-generation combat aircraft. The work will include designing more efficient ways to cooperate, methods to operate within budgetary constraints and processes that respect individual nations’ planning and agenda issues. “What we wanted when we selected our partners was not to develop a capability that did not exist, but to build on existing capabilities and further enhance them in a cost-efficient way. It’s rather easy to build a stealth platform. But is it easy to build an affordable one?” he offers. The ultimate goal of Neuron goes beyond production numbers, Robins shares. The challenges lie in developing appropriate industrialization processes, new materials, radar absorbent coatings and stealthy shapes. He notes that Dassault has some experience in developing stealth materials, while Saab and EADS also have produced stealth systems and UAV ground-control capabilities. While he cannot discuss much of the technology being developed for the program, Robins reiterates that Neuron is the first purely stealth-based platform built in Europe. “It [also] will be the first military aircraft to be built, probably in the world, on a completely virtual plateau,” he says. The Neuron will be designed electronically by all of the participating groups. Robins notes that during the first stages of development, the teams will work in the same facility. In later stages, the program’s engineers will return to their respective national locations and work on a single shared database. The Dassault team will capitalize on the online experience it gained developing the Dassault Falcon 7X commercial jet. Other technologies will include the ability to attack ground targets with precision munitions such as laser-guided weapons. The team also is exploring the capability to insert the UCAV into a command, control, communications, computers and intelligence environment and the ability to operate unmanned platforms in the same airspace as manned civilian and military aircraft. Robins estimates that between 50 and 100 engineers from all the participating firms will form the core team, but he adds that the effort will involve the entire design offices of the participating companies. For example, during one stage of development, the entire aerodynamics division of Dassault’s design office may be needed while electrical systems teams, hydraulics and other engineering groups may be required at later stages. Other considerations are autonomous navigation and decision-making processes. The program will examine dynamically reconfiguring the system during a mission and will study the ability to alter mission plans in mid-course if the tactical environment changes. Designers also will determine the right place for human operators in the operational/decision loop. In addition, the platform includes innovations such as fly-by-wire technology and a tailless body. When Neuron is ready to fly, Robins expects operational goals for both stealth and UCAV platforms to be established. “By that time, we hope that the European armed forces—not only France—will have defined a more accurate need for an operational system. But for the time being, those concepts are not crystallized yet. Everybody knows that the answer is the UCAV, but nobody knows what the question is,” he says.